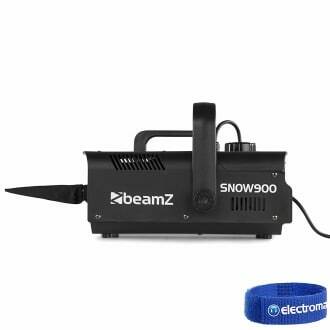 This high-performance 900W snow machine creates a winter nature during any party. The artificial snowflakes whirl meters away and provides a nice atmosphere and an extra dimension. Supplied with remote control & supplied with 5 litres of Snow Fluid that should last up to 4 hours of continuous use.